This course comes with 14.0 hours of CPD, although the time to complete the course online may be less than this. Total course time includes 4 hours and 41 minutes of video training as well as knowledge reviews, final test, remedial help and reviewing downloaded material. 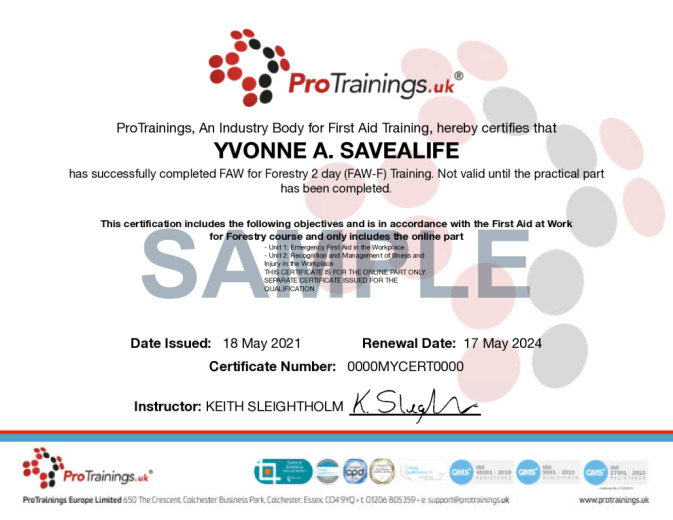 1.5 Identify the first aid equipment that should be available in the workplace. 3.5 Manage a casualty who is in a seizure. 4.1 Recognise the different types of a chest injury. 9 Be able to provide First Aid to a casualty with a suspected major illness.